The idea of creating an album with an intent to relax has already made its mark on the music scene. 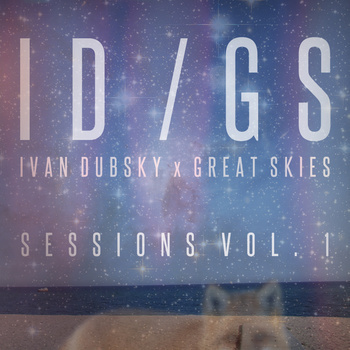 However, Ivan Dubsky & Great Skies‘ Session Vol. 1 EP is not your typical ambient collection. Hailing from UK, Ivan Dubsky and Great Skies are two ambient music producers and old-school friends who decided to make some music together. Released last June 22, this 4-track collection legs up ambient garage on a higher level. Intro track Hard To Find approaches with an ethereal aesthetic. It’s deep and rich with some perfectly-placed beats. It repackages the old lazy ambient to something that’s soothing with the right dose of energy. Boasting a plethora of glowing harmonies, Bokeh offers an eargasmic experience. Opening with a stripped down electro atmospherics, each element is added along the way allowing ample time for each sound to grow and disintegrate. Taking on a more upbeat vibe, Change Your Mind (Feat. CoMa) may be the most upbeat track on the album. Close your eyes and let this sonic gem take you on a psychedelic high. Lastly, Cat & Mouse seals the collection with piano keys embellished in ghostly vocals. I love how the fragility of the voice paints a stark contrast on the deep, sometimes rapid drum beats. As a whole, Session Vol. 1 EP creates a whole brand from its familiar territory. It is hard to make an ambient album without falling on the lazy-sleepy category, but Ivan Dubsky & Great Skies have created tracks that both chill the senses and boosts the mind.